Poker enthusiasts seeking for a brand new source of enjoyment should absolutely check out the poker rooms available on myBitcoinPoker. This Bitcoin-only poker betting site is filled with outstanding features and betting services that have the potential to make it big in the online gambling industry. That is why those who are eager to experience the excitement the popular card game brings should begin wagering now. Before players can start enjoying, though, they must first download the Bitcoin poker software and install it on their computer. This poker betting site does not feature any poker games that are powered by Flash or HTML5, so the only avenue for players to begin catching winning poker hands is through its poker client. 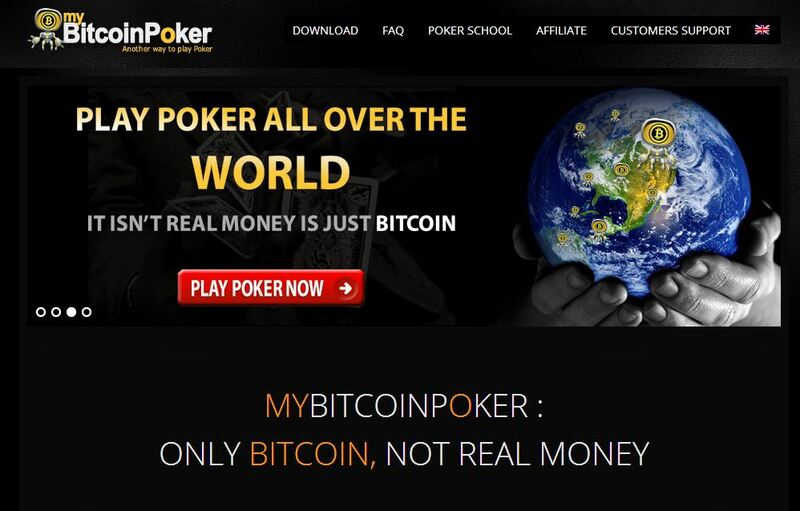 Fortunately, the software provided by myBitcoinPoker excels in different ways. For instance, the performance of every game is smooth and is complemented by quality graphics and design, mimicking an actual poker table. Moreover, players can resize the tables, choose their preferred seat, and create notes or comments about their opponents. In addition, the Bitcoin poker software also highlights a chat function, where players can freely communicate with one another in real-time. Personal statistics are also accessible on the software, together with an array of other excellent features. With a commendable Bitcoin poker client, poker enthusiasts will certainly enjoy playing the various games featured here. There are five poker game variants, and they are Texas Hold’em, Omaha, Omaha H/L, Stud, and Stud H/L. What is great about this selection is that it includes the most widely played poker games online, assuring players of a worthwhile betting experience even with little knowledge of Bitcoin poker rules. To make things better, myBitcoinPoker also holds a series of tournaments and sit-n-goes. Not only does this make the level of competition higher, but it also boosts the excitement. Thus, poker aficionados are guaranteed to have a blast playing the cash games and tournaments available here. Meanwhile, the affordable rakes and the attractive player rakeback also play a significant role in the success of this poker room. With as low as 2.5% rake, bettors can begin playing their preferred cash game at any time they wish. On the other hand, the rakeback on every hand can go as much as 50%, provided that the players qualify for the highest level. Aside from all this, this Bitcoin poker also promises an efficient payment system. Deposits and withdrawals are processed within 24 hours because approval for each is required. Although this may seem a bit long when compared with other Bitcoin poker sites, this is still within the acceptable terms. On another note, bettors will not have to worry a single bit about their security because myBitcoinPoker takes necessary measures to protect the funds and the identity of its players. Through all these factors, it is clear that this Bitcoin poker room is capable of providing a remarkable betting experience. Thus, poker enthusiasts should definitely give this a shot and have a first-hand experience of the poker betting services it offers.